Welcome to the Anchor! Popular Lower Lonsdale area. Concrete construction. Water views! A boutique community of 56 luxurious homes surrounded by a community of local shops, cafes, & only a 12 min seabus commute to DT Vancouver. Superior interior finishes incl a functional kitchen w/gas range & spa inspired bathrooms. 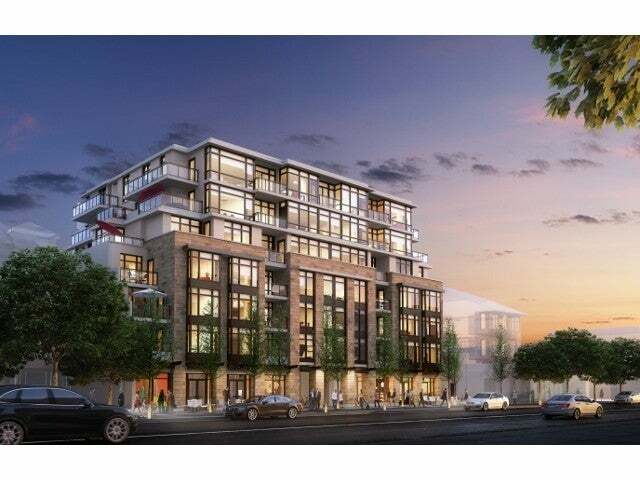 Amenities include huge rooftop deck outfitted w/gas BBQ & patio furniture, fitness centre, entertainment lounge, dog wash & bicycle repair station. Spectacular Sub penthouse. 1,327 sq ft, 2 bedroom & den (w/closet), 2 bath home on the entire east side of the building w/sweeping mountain views & south water views. Spacious open concept layout & 2 large balconies. Visit 131 E 3rd Daily 12-5pm except Fri. Listing Brokerage James Askew Real Estate Ltd.